UP train MBUPR heads south. Train couldn't leave Butler until the special high-wide train cleared. 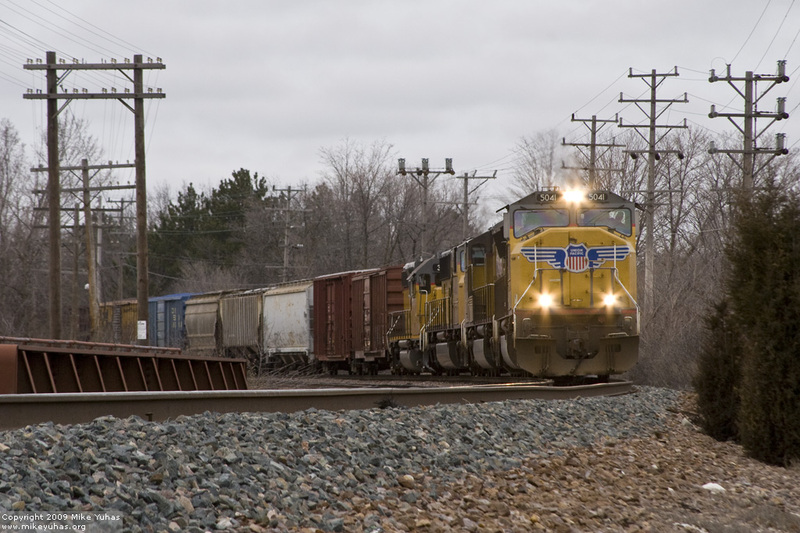 This train will hang a left at St. Francis and travel over the Kenosha Subdivision to expedite their trip to Proviso as the Z train is soon to be northbound on the single-track section of the Milwaukee Sub.